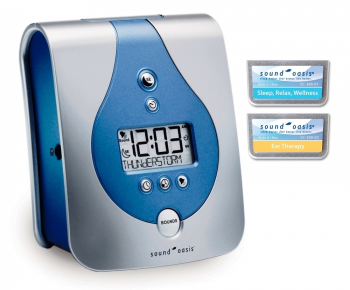 Sleep better with natural, clinically proven sound therapy. 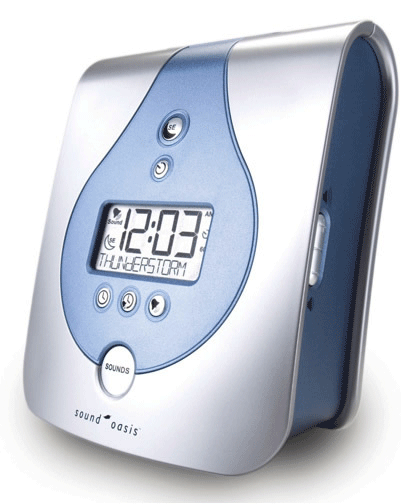 The Sound Oasis Sleep Sound Therapy System S-650-02 is a next generation sound machine that delivers an unmatched therapeutic sound experience. 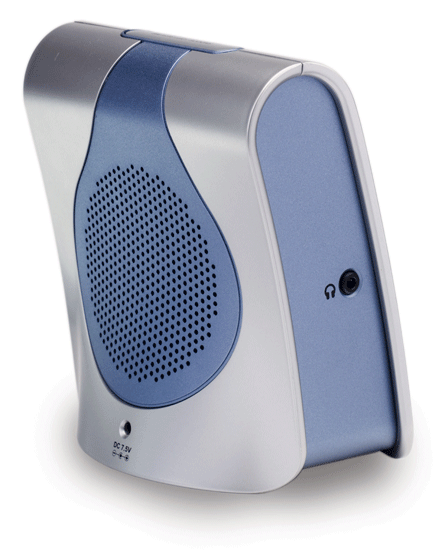 This model has been specifically developed for tinnitus sufferers. 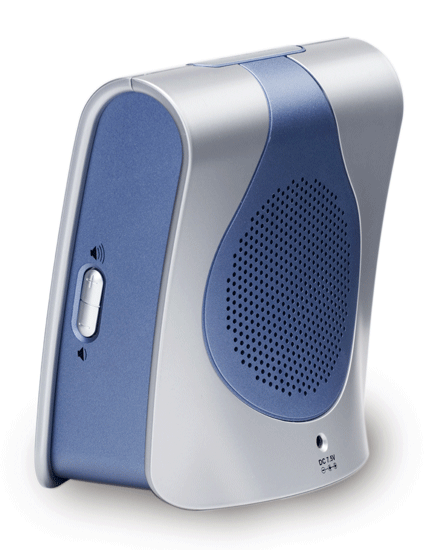 The S-650-02 tinnitus therapy machine incorporates the world’s only “sound card” technology which enables you to change sound themes by simply inserting a new memory card containing 12 different sounds. 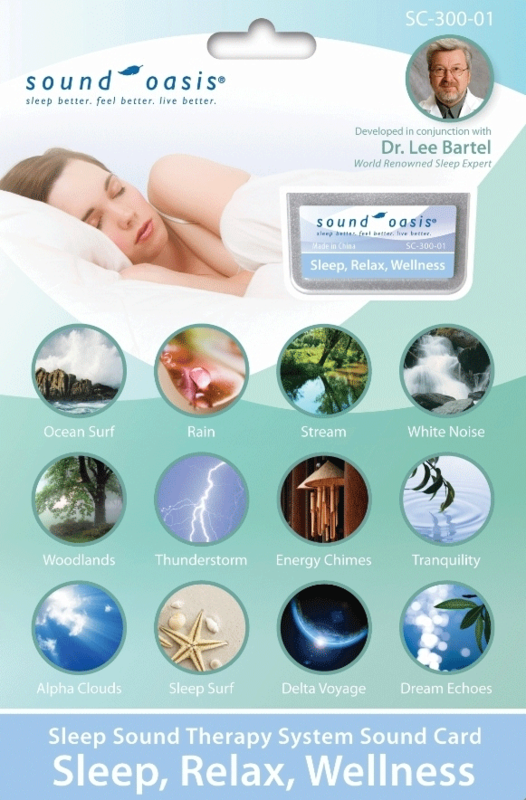 Your Sound Oasis advances the science of sound therapy by incorporating clinically proven sound therapy sounds developed by Dr. Lee Bartel, an internationally acclaimed music and health expert. From his years of research, Dr. Bartel has helped millions of people sleep better, relax easier and think more effectively. 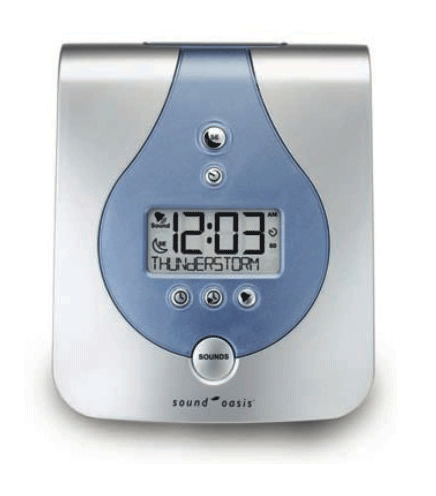 The Sound Oasis Ear Therapy sound card provides advanced sound therapy to help tinnitus sufferers mask and manage their tinnitus at home or work. 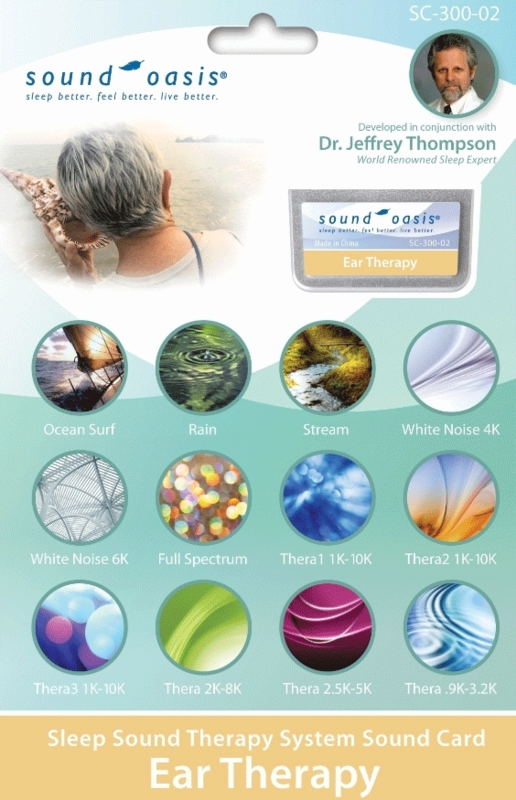 Six of the sounds were developed by Dr. Jeffrey Thompson, one of the world's leading experts on sound therapy. Dr. Thompson's sounds represent the most advanced approach to tinnitus therapy sounds that anyone has ever attempted with fixed prerecorded sound tracks. Each sound track has multiple high range frequencies built right into the music so it is more palatable to play-during the day or to sleep with at night. Six other sounds provide "nature only" sounds for pleasant masking therapy and customized versions of white noise targeting specific and general tinnitus frequencies.